Our poly rulers are produced with 30 mil high impact polystyrene for long lasting durability. 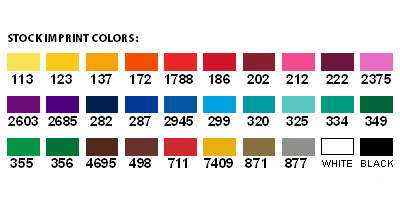 30 stock colors to choose from! Imprint may cover the entire face of item. Multi color imprint available. Add a running charge of $ .25(V) each per color, per position. Set-up is $40.00(V) per color, per location. Reorder Set-up is $20.00(V) per color, per location. Pricing shown includes printing any one stock color on one side. Color email proofs are provided at no charge. Pre-production product samples are $30.00(V) per color plus cost of item. Allow 3-5 working days. Upon approval of product samples, no other set-up charges will apply. 2500 28lbs. 10" x 10" x 8"
The attached PDF is a copy of the Tpiline BM-8115 - 1 1/4" x 7 1/4" Poly Ruler web-page. Please send a sample of BM-8115 - 1 1/4" x 7 1/4" Poly Ruler to the above address.